Toyota FJ Cruiser Forum > Toyota FJ Cruiser Forums Site Functions > Toyota FJ Cruiser News > Member of the Month February 2018: FatJohnson!!! Member of the Month February 2018: FatJohnson!!! We'd like to congratulate FatJohnson – Nid for being selected as the February 2018 Member of the Month! Nid: Thank-you so much for this surprise Hayden, I really do love this forum, and the people that make it great. I live in the small town of Biggar, out in Saskatchewan. It’s a farming and railroad community, with easy access to the backcountry..just what every FJ owner needs! We’ve lived here since 1991, and own two businesses along with my two brothers, a restaurant and carwash. My eldest brother is also the CEO/Owner of APA Archery and manufactures a high-end line of high-speed compound bows that he designed. It’s a very friendly town which feels like one big family. 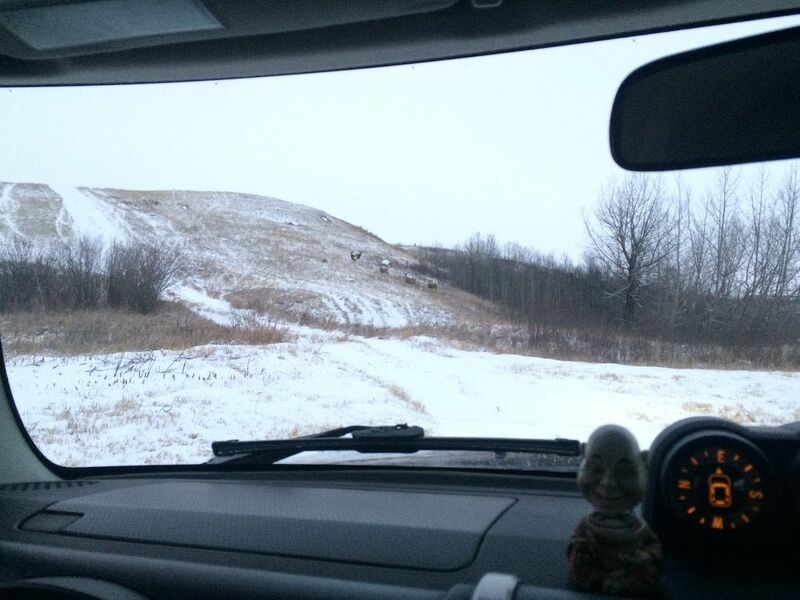 It’s also where the Hanson Buck was shot. I was born in Lebanon. We moved to Canada in 1976. I’m 46 years old, married for nearly 23 years, with two kids, a boy and a girl. My son is currently enrolled in his first year of University out in Alberta, so were quite happy to see him continue his education, and hope to see him go all the way! We’re proud that he’s doing it, and he really likes it so far. I’ve had several hobbies through the years. I have a love for audio/video, and been a hifi-head since the 80’s, having several big car stereos throughout the years, except for my FX45 and my FJ. I got into home theater systems back in the 90’s and focused on on building my best audio/home theater system to date. It’s currently all just a mockup..my plan is to tear it all down and rebuild it, but properly damp the walls using staggered studs, resilient channel, and constrained layer damped gyproc to decouple the room from the rest of the house. This should help keep the bass in the room and prevent the rest of the house from rattling apart. It should also allow me to listen to loud music while everyone else sleeps (divorce-prevention ). Staying fit is also something my wife and I have done throughout our marriage, and having kids is a great motivator to live long. We both work hard as well, so were on our feet most of the day, which also helps. We are currently setting up my son’s old room for our training room. We have a Bowflex and an inversion table setup, but I plan on adding a heavy bag and some coordination bags soon (I’ve always liked martial arts since I was a kid and still do lol ). Nid: I saw an FJ that had some mild mods done to it on Kijiji in 2015, and so I started looking at pictures online, which eventually lead me to the Blue Room. After mildly poking around and getting a feel of the forum, I found myself going back more and more. I didn’t make an account until several months later. Nid: The first off road vehicle I owned was a brand new 1990 Jeep YJ Islander. I was young, and obviously dumb haha! I’ll be honest, it was fun to own and the girls really liked it... that’s about the only good stories I have about Jeep. It was a lemon. If it was damp or cold outside, it wouldn’t idle right and would stall. It was ice cold in the winter, the heater sucked in that thing. The hardtop whistled on the highway, it handled like crap, and don’t even think about trying to drift around a corner... that thing swapped ends without warning! I used to love Jeeps until I owned one, only to realize that I love the ‘idea’, but not the execution. I traded off on a 1987 Nissan Pathfinder Trail Boss. That was a huge upgrade from the Jeep, HUGE! I liked it so much that I’ve only driven Japanese vehicles since. The Nissan was better than the Jeep off-road, and miles ahead as a daily driver! And I put it through hell back then. 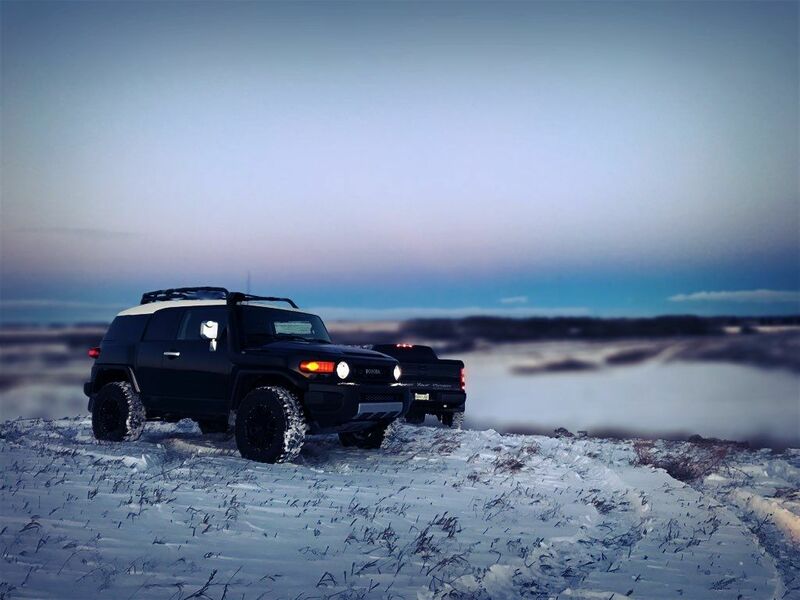 But my beloved FJ takes the throne, I’ve never been happier with ANY vehicle that I’ve owned, and I haven’t driven in any new vehicle that I would take over an FJ. 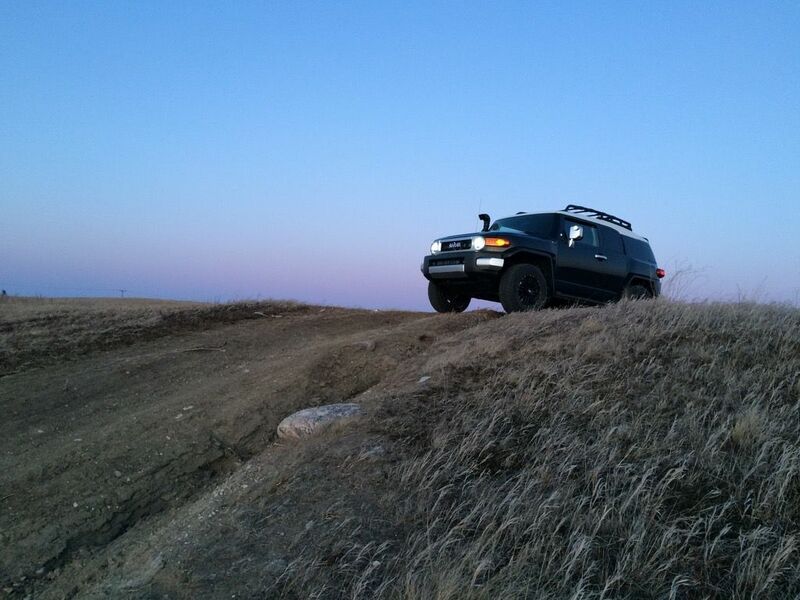 I’ve never felt like that about another vehicle, and it feels like I just bought the FJ yesterday still... the excitement of owning it is still there and strong. But it wasn’t bought on purpose, nor was it a very well researched decision, but it was a GREAT one.. 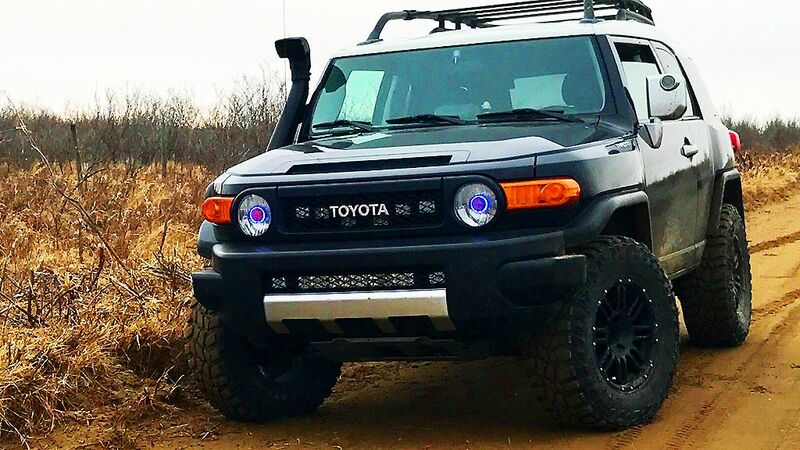 I was on Kijiji looking for a subwoofer for my home theatre room and found one, so I checked his other items and he had a mall-crawl modded FJ for sale, but it looked sharp. 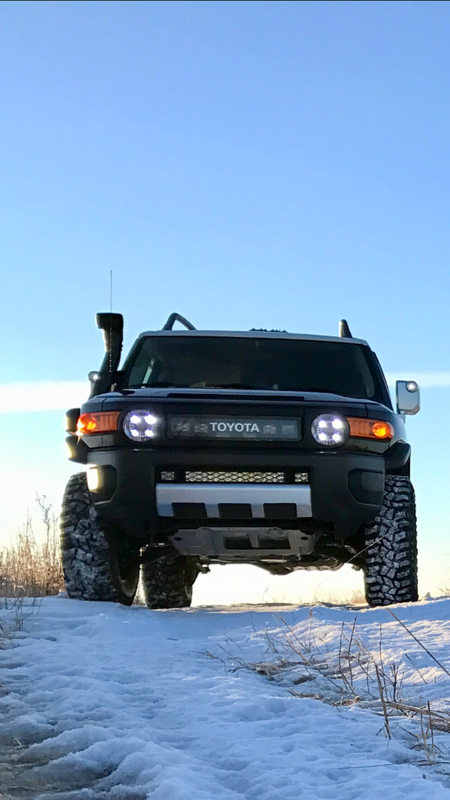 I instantly started looking them up, not knowing how much of a serious machine they really were, and when I finally realized it, I was hellbent on selling my Infiniti and buying an FJ. In the meantime I lurked on the forum, checking out other people’s build threads, which made me even more anxious to get one. 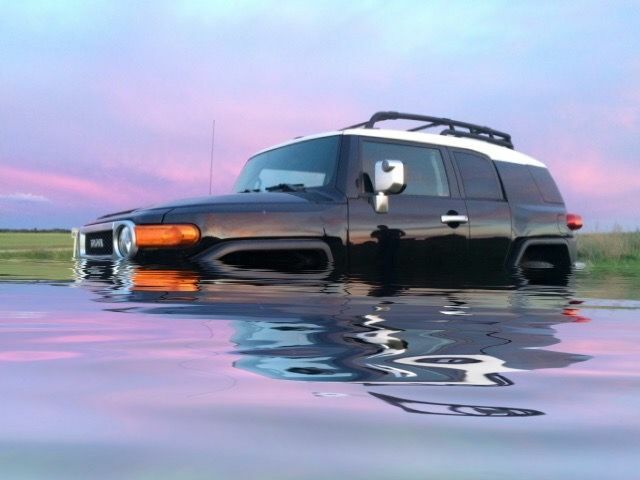 I populated my Kijiji Favourites list with FJs, and a few months later, I traded my FX45 on the first FJ that was in that list because it hadn’t moved while others were disappearing. This got me back into 4X4ing after a 10 year hiatus of being confined to pavement with my last 2 vehicles! Glad to be back off road again! Nid: Well I expected to have more mods done by now, but sometimes life has other plans... my wife and I decided to buy a bigger house right after I bought the FJ. We got a second mortgage, and bought the house we currently live in. We put our old house up for sale after doing some major renovations, and then the real estate took a dump. The house is still for sale, so we’ve been paying two mortgages. Therefore, since I haven’t had the money to dump into the big mods yet, mine have been more ‘elbow-grease’ based mods. My favourite mod so far is the bi-xenon HID projectors. This is a great mod, and completely changed night driving for me (and oncoming drivers). It was a fun mod to do, and I thank Darkhorse for his fantastic and detailed instructions. Anybody can do this mod when you read his directions. 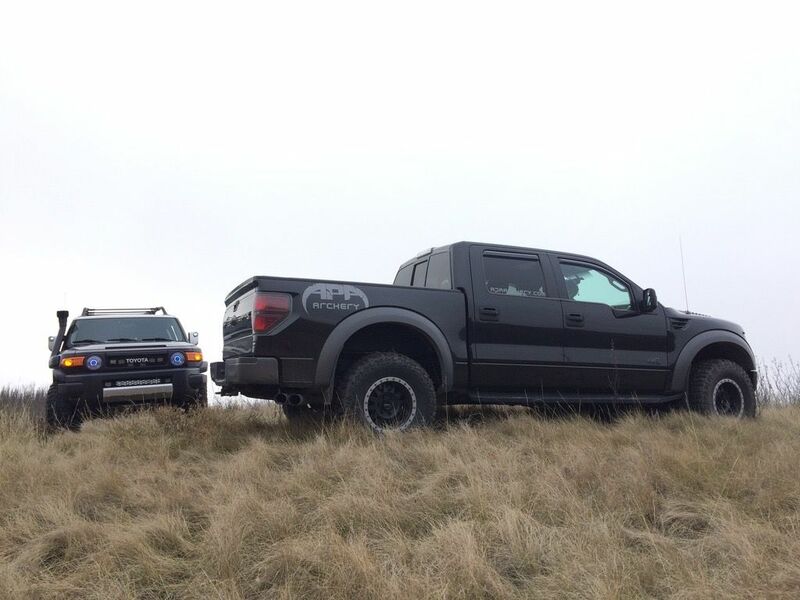 I should mention, that tires (namely traction) should always be the number one priority if off-roading is in your future (assuming you don’t need a lift to fit them, but obviously the two go hand in hand if you go big). 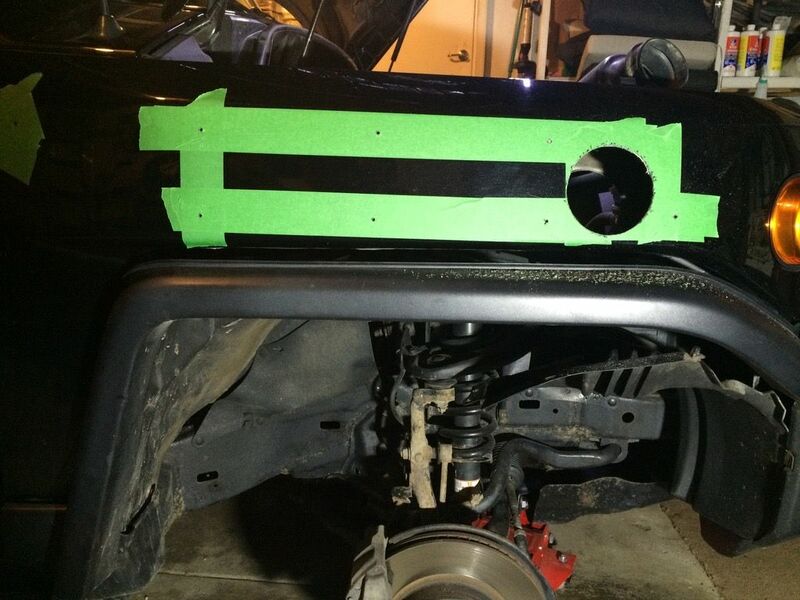 I want to mention that sound deadening your FJ is another worthwhile mod. It takes effort and time, but the results are a quieter interior, better audio, less small vibrations and better bump absorption..basically, you don’t just hear the results, but you feel them as well. Nid: I would have bought the Gobi ladder instead of the Deezee ladder... too late now though! 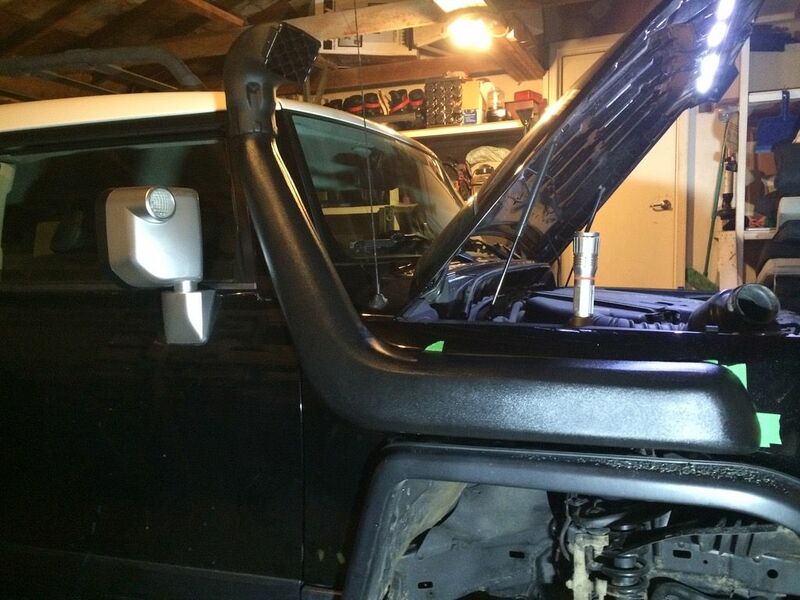 It was my first FJ mod, I probably shouldn’t have started at midnight, and should have used better tools. Lesson learned. Nid: It does everything great except get good mileage lol! I love how it feels when driving it, and how it handles after I mounted STT Pros on it. The cavernous interior in the front feels tank-like. 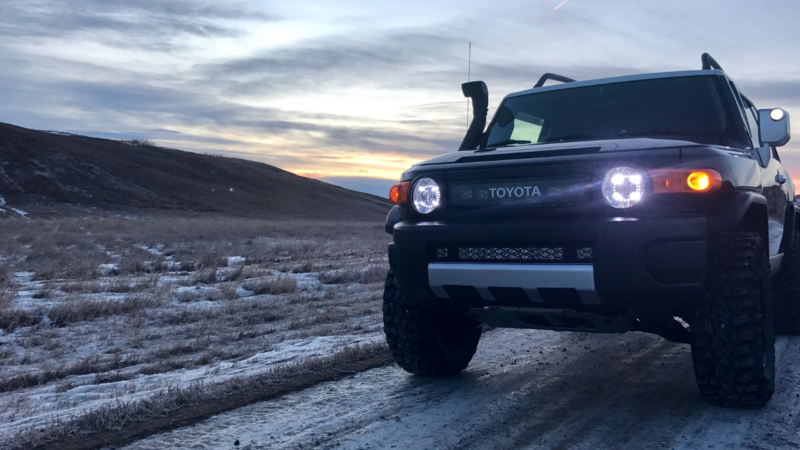 It’s the only FJ in this town. There’s a lady who lives in a nearby town, but she works here and she also owns a Black Diamond FJ. I also see a Black Cherry every now and then (another lady from about 45 minutes north of town) And yes, I have spoken to and met both of the owners lol. FJs are quite rare here. Nid: My build is in it’s infancy, so I’m constantly looking and planning what I want for when the time comes. There’s so many great ideas here that I like and want to do someday. There’s a little bit of something that I like on so many different FJs, that it gets overwhelming deciding where I want this build to go. 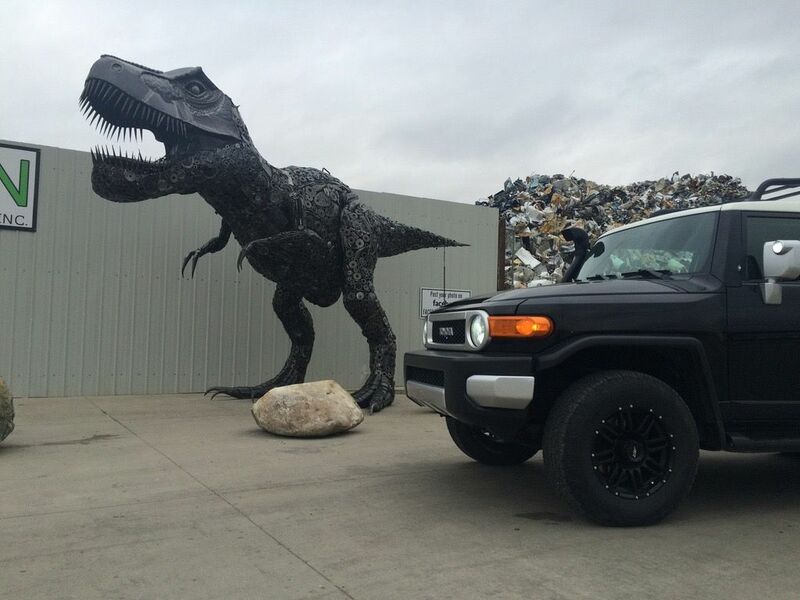 This whole place is an inspiration, and not just for modifying my FJ, but in so many ways. I like to see people getting along, and you really see that here! Although I should be used to it by now, I’m always amazed and inspired by the effort that FJCF members will go to in order to help another member solve a problem. They go out of their way to type multiple paragraphs to help someone solve a problem, find a part, give reviews/opinions or do a mod. This is what forums are all about, helping one-another when ever were able to help. Life, in general, should be like this forum. Nid: To be honest, My schedule doesn’t really allow me to stray far, but on the flip side, it takes me less that 2 minutes to be out in the country. We don’t have any designated off-roading trails around here that I’m aware of, but in reality, nearly anything that isn’t fenced in or posted as no trespassing is open game. We have tons of back country here, it’s just a matter of finding the time to get out there to explore it. Nid: I can assure you that I speak for the WHOLE FJC community around here... very welcoming of ANY FJC owner, whether they wheel it or not. I say this with confidence because I am the FJC community since I’m the only one owns one in town lol. But seriously, I wish we actually had more of them around locally. 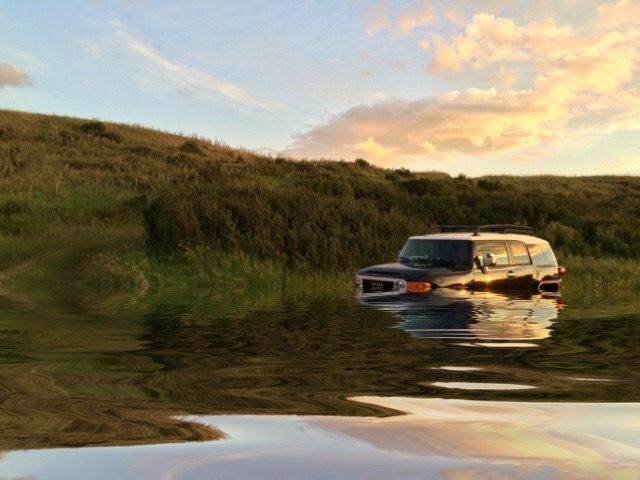 Nid: Can you believe that it wasn’t even off-road... it was when we packed it full of my son’s belongings as we moved him to Calgary for university. I was sad, my wife and daughter were sad but my son was excited as we made the six hour drive. After moving him into his dorm, it was so hard to drive away from my boy. We are just now adjusting to him being gone, but I will never forget that drive. Not a happy moment, but a proud one. Nid: I enjoy the sheer effort that members will go through to help a stranger. I also enjoy the comedy and all the great solutions that crowd sourcing can come up with. Nid: The FJ forum has changed me from a guy that used to pay a mechanic $120/hour labour, to being my own mechanic and spending the labour rate on tools. It has completely changed my outlook, and given me the confidence to tackle jobs that I wouldn’t dare try before. If I think that I can do it, and if there’s a writeup on the forum to guide me, then I’ll give it a shot! I couldn’t/wouldn’t do that without this place and the great souls that post the information for guys like me that are dipping their toes in DIYing their problems. As far as what I contribute the most? I really can’t say that I shine brightly in any department lol, although I do try to offer help where I can, but I don’t like to pretend that I know how to do something when I actually don’t. I’m still learning, and maybe when I learn enough to be more useful, I’ll have a better answer for that question my friend. Nid: I plan on keeping it until one of us dies first. I didn’t know this vehicle would make me fall in love with it. I don’t like driving anything else anymore. 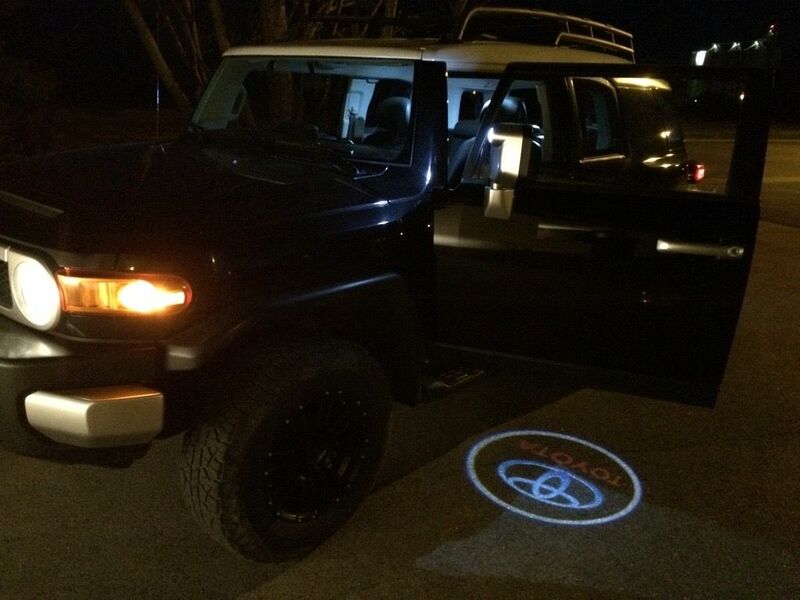 In fact, my wife wants her own FJ, which is GREAT! My son even loves them now. 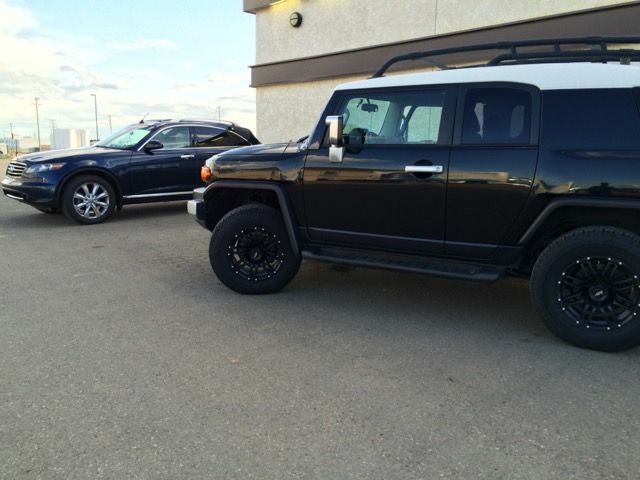 Bonus: My nephew FINALLY got out of the Dodge junk, and bought a 2015 4Runner last week so now he ‘gets it’... why his uncle has been raving about TOYOTA since getting his FJ! Nid: Eventually, I’d like to add the usual bits, sliders, aluminum front bumper/winch, possibly and aluminum rear bumper. 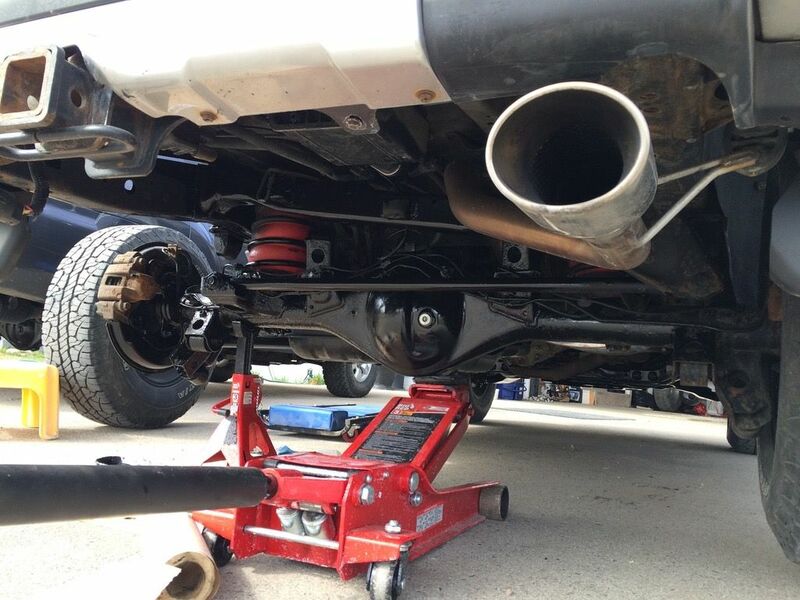 A proper lift, with some type of 2.5” shocks, I’m just not sure how extreme of a setup I want at this point. 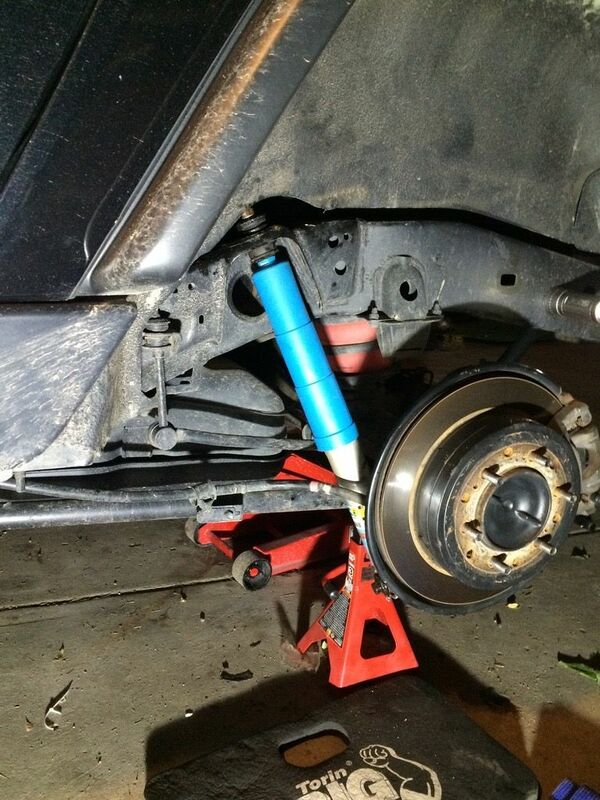 I love the racing shocks, but I don’t know if I’d love the maintenance on them. I’d also like to go to 16” rims with 33X12.50 tires at some point rather than going up to 35” tires. 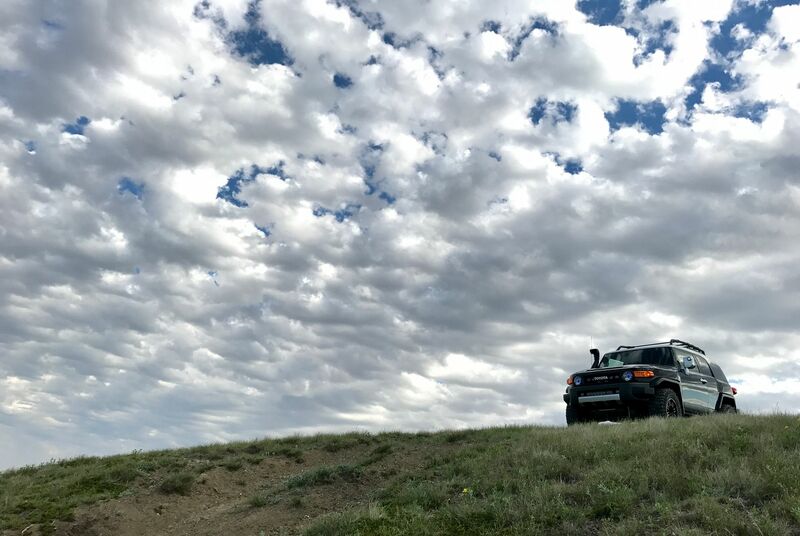 Nid: If you own an FJ, then you should join this forum, it will make your ownership experience that much more fulfilling and meeting the other FJ drivers on this forum will make it more enjoyable as well, because we all feel the same excitement for our beloved FJs. 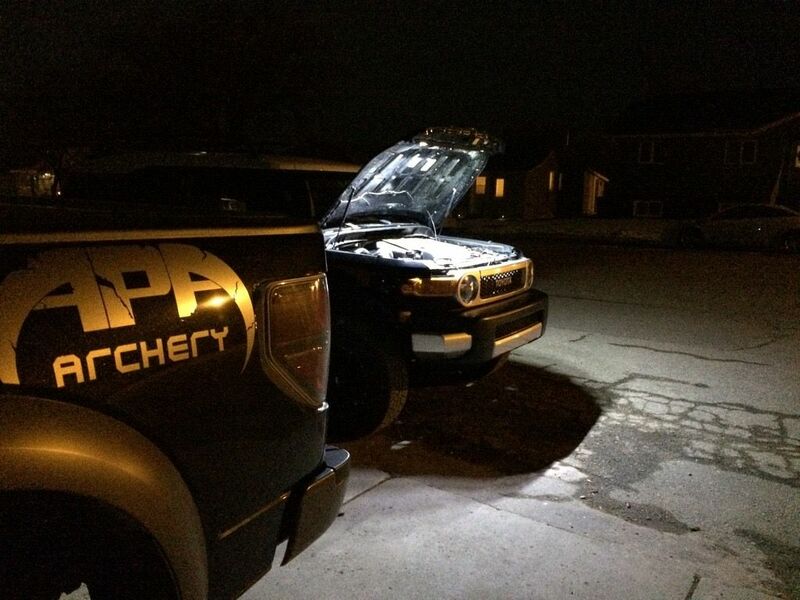 You will learn so much about your vehicle, and maybe like me, you’ll be motivated to bust out the wrenches and the BFH and start learning how to wreck things properly lol! This place and the people that make it are priceless. Thank-you so much for all your help guys. Corey, BOBTAILFJ, Winterpeg and 26 others like this. Re: Member of the Month February 2018: FatJohnson!!! Last edited by Winterpeg; 02-02-2018 at 11:52 AM. Nid! Great to hear your story, so true about the forum giving you (me too) the confidence to do it yourself. Congratulations! debFJVT, Thorn661, FJFool and 3 others like this. Sweet rig and well deserved MOM. For the time I've been on this forum, I always gave a slight chuckle (like I was 10 y/o again) when I came across your screen name. And I thought that was your name! Nice getting to know you Nid and congrats on your boy getting into college! debFJVT and FatJohnson like this.